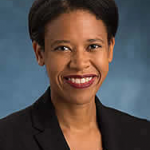 Tiana Korley joined the University of Michigan Office of the Vice President and General Counsel in 2015. She provides legal advice on research-related matters, as well as regulatory issues, including interpretation and guidance on the fraud and abuse laws. Prior to joining OGC, Tiana was a consultant at the MITRE Corporation, which operates CMS’s federally-funded research and development center, the CMS Alliance to Modernize Healthcare. In this role, Tiana advised CMS on various policy matters, including policy considerations related to the establishment of alternative payment models emerging from the Center for Medicare and Medicaid Innovation. Tiana also has experience on various legislative matters and served as Senior Health Counsel for Representative Jim McDermott, the Ranking Member of the Ways and Means Subcommittee on Health in the United States House of Representatives. She also has Executive Branch experience and served as the Senior Advisor to the Deputy Administrator for Program Integrity at CMS. In this role, she assisted with developing various regulations and served as a liaison between the Center for Program Integrity and other CMS components on various policy initiatives. Tiana also has broad experience as a regulatory health attorney, having worked in this capacity at the University of Chicago Hospitals, Bon Secours Health System, and at a national law firm.